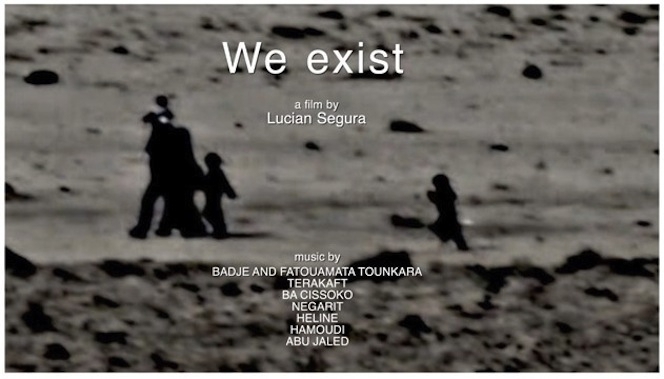 WE EXIST is a documentary film with musicians from the Middle East and Africa - combined with associative images of people on the run. No sensational images, but poetic images convey the human aspect of the ongoing tragedy. Some of the musicians come from refugee camps themselves, others are regionally and internationally known groups that make their music available. The narrative structure of the film differs from the usual journalism: it takes the viewer by the hand and gets under the skin. Carried by the music he leads us to places and to people we can be close to for a moment. Commentary and ruthless. The German-Spanish filmmaker Lucian Segura is a graduate of the Berlin Film Academy and has worked with Wim Wenders several times. The exhibition recommended for imitation! will be shown for the first time in Bonn after stops in India, Ethiopia, China, Brazil, Mexico, Peru and Chile. The 62 international artistic positions are complemented by works and contributions by Klaus Fritze, Cornelia Gentschow, Swaantje Güntzel, Heide Pawelzik, Hannah Schneider, Akio Suzuki and Natalia Wehler. The cultural dimension of sustainability is central to addressing global challenges such as climate change and migration. In addition to technical innovations and materials, participatory projects and networks in the field of renewable energies, water or recycling/recycling will be presented. Discursive expeditions into aesthetics and sustainability are the ideal platform for different forms of knowledge and action. The exhibition is a cooperation between Engagement Global, the German Development Institute (DIE) and SDSN Germany.